Women usually have a feeling they are pregnant. If nothing else they usually have an idea once they miss their period. Finding out I was pregnant was not that simple. Before I go any farther I want to say I am sorry to my male readers…this post will include some feminine details haha. My husband and I had been trying for a baby since May. Me being the impatient person I am, I started to get discouraged. It takes some women months and years to get pregnant. I really shouldn’t have been so impatient :(. I was just so excited that I had reached a point in my life where I could start trying for a baby. My day started off normal: I was tired and did not want to get up. I dragged myself out of my cozy bed, showered, and headed to work. As the morning went on I started to get a headache. And when I say headache I mean a throbbing, mother of all terrible migraine! My brain was beating with my heart. It felt like someone was using my brain as a stress ball. On top of that I was sitting at my desk and was almost blacking out. I was a nervous wreck! I had no idea what was wrong with me! I have a history of randomly blacking out. But always in the past when I sat down I would feel better. Not this time….there was no helping it. Not to mention I had never had a headache that bad! I immediately made a doctors appointment and luckily they got me in fast. By the time I got in the room I was crying from the pain. I felt like a big baby. It was actually embarrassing but I couldn’t help it. After checking me out my Nurse Practitioner told me that they couldn’t do a CT in their office that day but if I really wanted one then I could go to the ER. I was scared to death so my husband rushed me to the hospital. By this time it was around noon and luckily the ER was calm. They took me straight back. The nurse asked me if I could be pregnant and I told her that we were trying but that I didn’t think I was. During the month of August I had two periods. Yes you read correct: two! I had one at the beginning of the month and one the week before all this happened. So to me being pregnant was the farthest thing from my mind. I guess the nurse wanted to make sure since I was getting a CT scan done…so she had me do a urine sample. As I went to get my CT my poor husband was a nervous wreck. I knew he was trying to be strong for me. I later found out that he was in the hallway praying while I got it done. I think that is the absolute sweetest and most heartwarming thing. I get back into my room and we sit there for quite some time. All of the hospital staff were so nice and caring. It helped make the whole process a whole lot better. I had never been a fan of the hospital in Jackson…but this experience changed my mind. While waiting for the results of my CT, the nurse and Nurse Practitioner both walk in together with stone faces. Mine and my husbands hearts dropped. Two don’t usually come in unless there is something wrong. The Nurse Practitioner says, “How do you feel about…” she pauses. Our hearts dropped again….our minds have went to the worst case scenario. We both think she is about to say, “How do you feel about going to Lexington for some more tests” or something like that. WHAT?! I was in shock. Being pregnant was the last thing on my mind. I was speechless. I was pregnant! 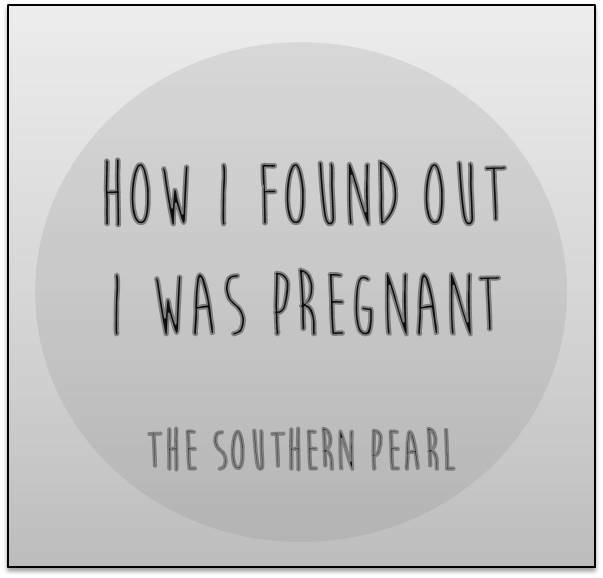 After months of trying and nothing…I was pregnant! I couldn’t believe it. Josh stood straight up and comes over and kisses me. As soon as they shut the door I started bawling like a baby! I was overcome with emotions because I was having a baby! We were so happy. Josh held me while I sobbed like a baby. And no I am not ashamed of that one bit. Every tear shed was a tear of pure happiness. I’m about to cry thinking about it. It was such a special moment. I still couldn’t believe it. This baby, I had no idea was growing inside of me, was the cause of my terrible headache. I would have NEVER made that connection. To beat it all…if I wouldn’t have had that terrible headache I would had no idea I was pregnant. I wouldn’t have known until next week (Sept 14-16) when I will be six weeks pregnant because that is when I would have missed my period. I found out on a Monday and that Wed I would have been three weeks pregnant. I was barely to a point that will even show up on a home pregnancy test. Luckily I found out with a blood test and the idea of a false negative wasn’t even a thought. Considering I was at the hospital for something that could have been something serious….our families were concerned. So we didn’t get to wait and announce to them in a cute way because they were worried. But that doesn’t bother me because I was just so excited to be able to announce that I was pregnant! So no my pregnancy story wasn’t a typical one. I didn’t miss my period and buy a pregnancy test and find out in 3-5 minutes. I found out while in the ER with a severe headache. I wouldn’t change anything about it though. Nothing has ever been simple in my life….this isn’t any different. If you haven’t already go read my post Why We Chose To Announce Our Pregnancy So Early. Do any of you have a funny/interesting story about how you found out about your bundles of joy? I’d like to hear them! Comment below. I went to get my yearly pap and they asked me if I could be pregnant. I said its possible but don’t think I am. Sure enough they did a test and I was pregnant. So I wait until I get home to tell Sanders. We were both in shock.